Mike Bradley is the busiest man in radio – between his 5-9am shift, broadcasts on the road and his sports commitments, Mike is always dashing off to somewhere. 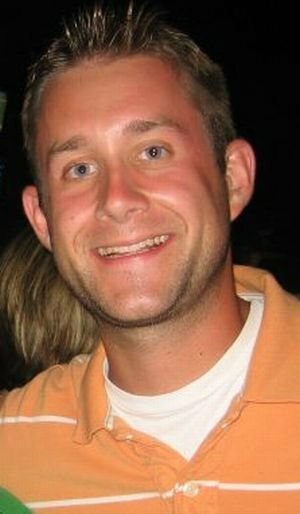 Mike is originally from Baltimore, however he now resides in Ocean City where he spent many a summer as a kid at his family condo. Mike loves the beach and is a sports nut both playing and watching. Ravens, O’s, Terps, Caps, University of Michigan and the Lakers are his teams. He also loves history especially local history. Bradley stays plenty busy with the Ravens Rap Show he hosts on WMDT-ABC 47, Comcast Beach TV, his sports program on weekends at CBS Radio-Baltimore including Pre-Game, Scoreboard and Post Game for Football games on the Maryland Terrapins Sports Radio Network and High School Football program on Friday nights during the season and DJing weddings and at bars. Bradley graduated from Loyola College in Baltimore with a Finance degree where he worked for three years before taking a full time job in 2005 at a music station in Georgetown where he worked for five years. He spent five years working in Georgetown, DE in music radio including On-Air, Operations Manager and Program Director. Prior to coming to WGMD in late August of 2012 he came via Easton where he was doing afternoon drive music radio. Mike loves having fun on the air, where he can inform, entertain and keep things a little lighter. You can listen to him Monday-Friday 5-9am. You can reach Mike by email at “mike.bradley@wgmd.com“.